Although confirmation takes place at the congregational level, the person is a member of the entire United Church of Canada, not just one congregation; therefore membership can be transferred freely from congregation to congregation, or to another denomination if that is the persons desire. A congregation may remove members from its roll for non-attendance. (The Manual suggests an absence of three years, but the congregation is free to set its own period of time). This is only carried out after every possible measure has been taken to be in touch with the member. 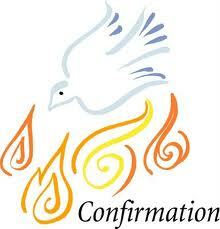 In order to become a member, a person goes through a process called "confirmation". This involves a series of discussion based sessions on topics such as God, Jesus, the Holy Spirit, Church, and how we live our faith within the context of the United Church of Canada. Following this, the candidate makes a public profession of faith before the congregation, thereby "confirming" the statements made by his or her parents during baptism. If the person is unbaptised, the minister baptises the person before the profession of faith. The new member's name is then entered on the official Roll of Members for that congregation.